Claudio isn’t in today but I can answer this! We use Photoshop for painting both concepts and textures, Maya for making ingame meshes, and ZBrush for the high-resolution sculpts that are baked into normal maps for the game. I love it! I always love the water in these kinds of games, and the fact that your adding wildlife under the waves is incredible! Great Job! These are so excellent! 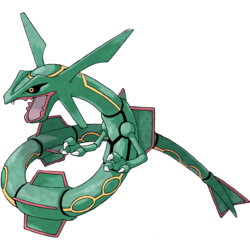 They remind me of rayquaza from pokemon kinda haha! I’m excited to see em in game! why does this look better then the one original in the picture this is a bug one you say? I have to agree. There’s that defined line going down the body from the mouth contrasted with the orange blending out to the fin. It doesn’t look consistent. Knit-picking. 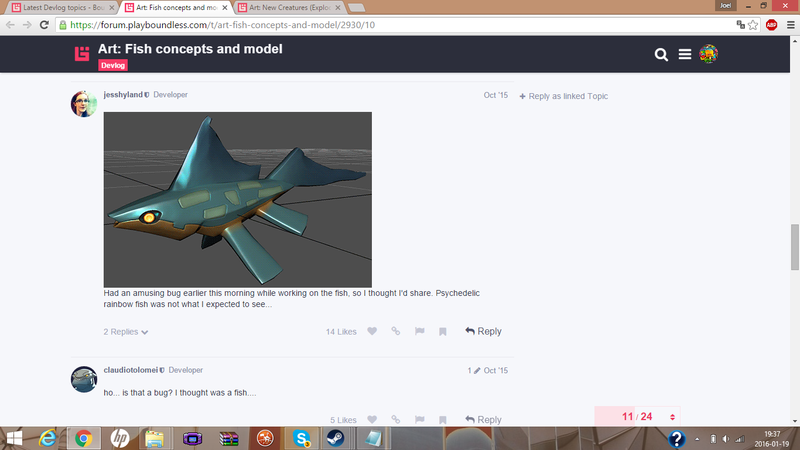 I do like most of the concept art for the fish. Kudos. It never showed up on the trello road map.